As public attitudes toward immigrants and refugees has shifted unfavorably in recent years, so has the funding for agencies, like the Pan-African Community Association (PACA), whose sole existence relies on grants and monetary donations. Due to diminishing funding sources, PACA has been unable to keep up with its rising client population. In turn, PACA has been forced to lay off several staff members, as well as discontinue certain services and programs that remain critical to the organization’s mission. To keep this vital organization alive and allow it to remain an active resource to the Milwaukee community, PACA needs YOUR help to raise $25,000. PACA appreciates contributions at any level. Initially established in 1999 as a grassroots organization, PACA has become a staple in the Milwaukee community since its formal restructuring in 2006 as a direct refugee services agency. In 2009, PACA became officially recognized as a refugee resettlement agency. Since 2010, the non-profit organization has assisted in the resettlement of over 800 refugees from various countries including Bhutan, Burma,Democratic Republic of Congo, Eritrea, Ethiopia, Iraq, Sudan, and South Sudan. In addition to its resettlement efforts, PACA continues to serve as a cultural hub for close to 10,000 African immigrants living in Milwaukee. With PACA’s assistance, refugees and immigrants have been able to fully transition and integrate into American society as productive members, while still preserving their cultural values and heritage. Direct Services to Refugees and Immigrants. PACA manages caseloads and provides direct services to those who need public assistance, interpretation services, job readiness, housing placement, and school placement . These services properly assist refugees and immigrants in their resettlement. Advocacy on Behalf of Refugees and Immigrants. PACA is called to not only serve, but advocate for the immigrant and refugee communities of Wisconsin. As the voice of the Wisconsin African immigrant and refugee populations, PACA representatives regularly serve on panel discussions, speak at community events, and host events to inform and educate the public on the refugee and immigrant crises. 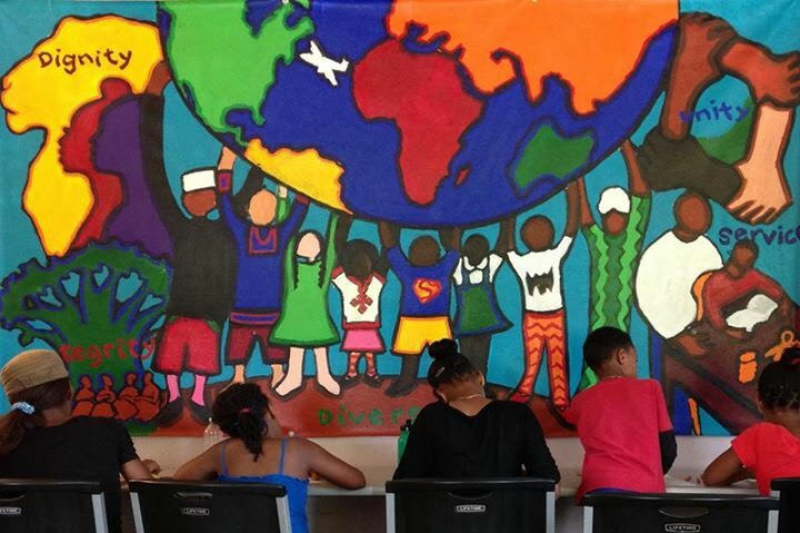 After School Program for African Immigrants and Refugees (ASPAIR). ASPAIR integrates young refugees into the school system and assists them in completing high school. This program has had a 99% high school graduate rate since its inception in 2007. Refugee Help Desk. A pro-bono legal service staffed by volunteer attorneys and law students assists refugees and immigrants with status adjustments (green card process), family reunification, and naturalization applications. African Diaspora Development Institute (ADDI). ADDI, a business arm of PACA, provides services beyond the nonprofit scope, which aims at cultural promotion, economic and human resource development within and outside the Milwaukee metropolitan area. The program serves as a clearinghouse of information and business referrals for African entrepreneurs. ADDI also serves as a resource for businesses looking to have sister city relationships in Africa. The Coalition of African Youth (CAY). CAY is a youth leadership development program that focuses on providing a safe-space for youth of African descent, including first-generation Americans and recent immigrants. This program allows for youth to interact and engage in meaningful dialogue, serve as volunteers in the community, and participate in educational development programs such as Model UN. Urban Community Garden. PACA, with the help of its youth, created an urban community garden on its premises. Youth and staff dedicate their time and efforts to maintaining the community garden. Building Healthy Refugee and Immigrant Communities (BHRIC). BHRIC is a program dedicated to training health promoters and facilitating community outreach so that they may promote and teach preventative health programs to the refugee and immigrant population. For more information, please visit the Pan-African Community Association website. If you have Amazon Prime, you can get more money to PACA by using Amazon Smile [smile.amazon.com] and selecting PACA as your charity. Though it is a small portion of the purchase price that will go to PACA, if many people select PACA it can generate a significant amount of money. I hope PACA continues to deliver great services to the community!